Let’s be honest, if you had to pick a favorite Sesame Street character, you would probably choose Cookie Monster. He’s just so lovable and sweet and who can’t relate with his cookie obsession? 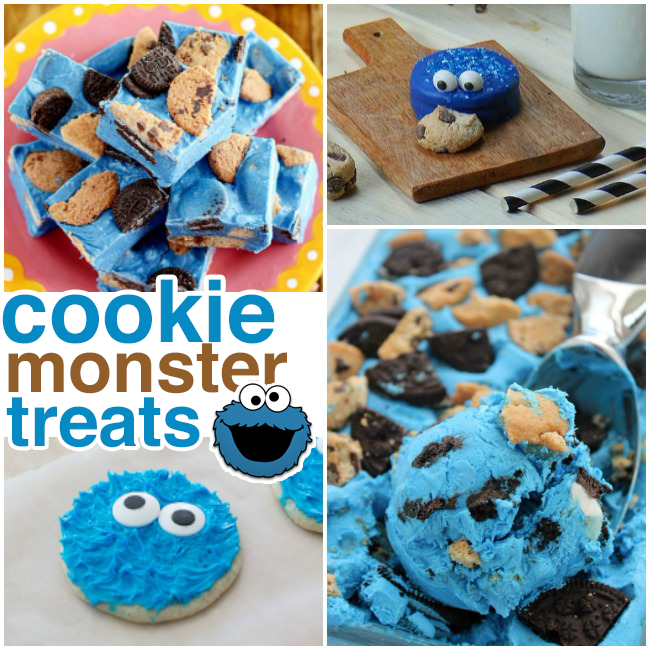 If you want to make the most epic and delicious Cookie Monster treats ever, here are a bunch! These adorable Cookie Monster rice krispie treats look amazing but are actually really easy to make! These donuts are super easy to make – just add eyes! Make some awesome Cookie Monster cookies and his buddy Elmo, too!